So You Think Kansas Is Flat? So you think Kansas is flat? Okay … most of the state is. 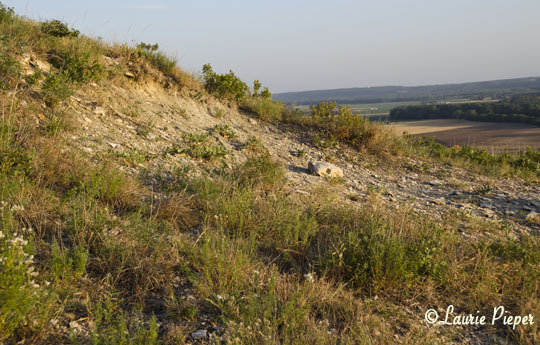 But not the Konza Prairie which is located in the northern Flint Hills of eastern-central Kansas. 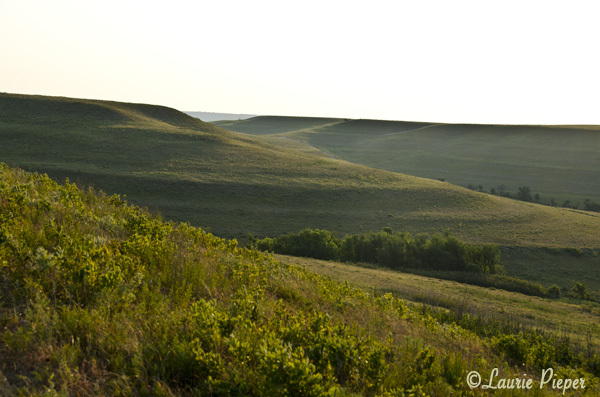 This narrow chain of hills counts as its own ecoregion because it is home to the densest remaining tall grass prairie in North America. Early European settlers, unable to plow the area due to its rocky soil composition, used the region for grazing livestock thus leaving the grasslands intact. 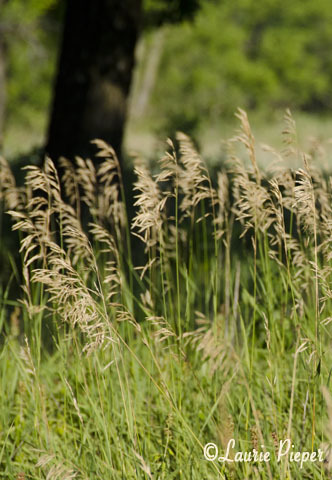 Due to dry conditions this summer, the grasses probably will not reach their full height. 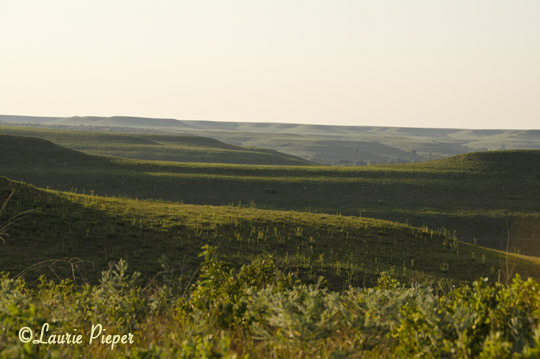 Nevertheless, this expanse of prairie with its soft, rolling hills is still something to see … and it proves that Kansas isn’t all flat! 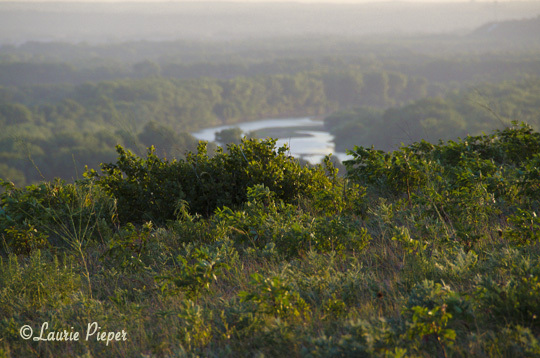 The Konza Prairie is co-owned by The Nature Conservancy and Kansas State University. 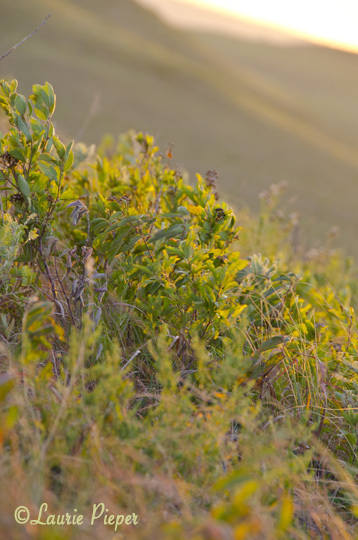 While much of the area is dedicated for use as a biological research station, fortunately there are several trails open to the public. 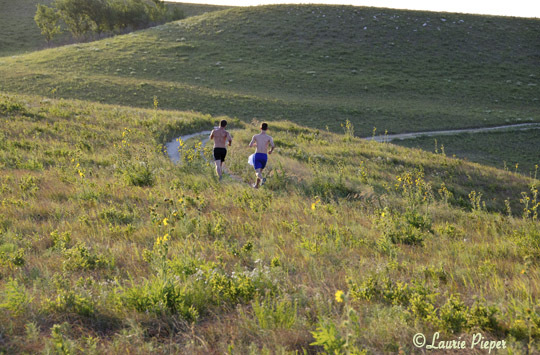 The trails are frequently used by hikers and joggers, birders, and photographers and other artists out to capture the beauty of this land. If you have been following my blog this week, you’ve probably figured out how much I enjoy photographing this area. (I’ve also done a few paintings of the prairie.) However, my next post will be back to food.